Home / Entertainment News / Ghanaian musician eShun is the only African billed to perform at UN Headquarters in Geneva,Switzerland. Ghanaian musician eShun is the only African billed to perform at UN Headquarters in Geneva,Switzerland. eShun, the Ghanaian Singer and Performer is billed to perform at the highly profiled event this Wednesday 14th November,2018 at the UN Headquarters, Geneva – Switzerland. 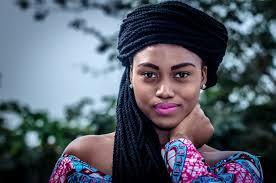 The event will have eShun perform among other songs – a song she composed called I Belong which is to address the phenomena called Statelessness and also give a brief speech on the Statelessness issue from the African Perspective. The event will feature the High Commissioner Filippo Grandi and a formerly stateless woman Artee who lives in Thailand and a performance by the Ghanaian Singer eShun. Statelessness is situation where a person is denied of his or her nationality. It is estimated that at least 10 million people are stateless worldwide: they are not considered as nationals by any State under the operation of its law. They often aren’t allowed to go to school, see a doctor, get a job, open a bank account, buy a house or even get married. eShun is the only African who is performing at this year’s event. eShun is expected to release the official music video for her latest hit song Akyia on the 21st of November, 2018.